Youth Code breathe life back into the moribund electronic industrial scene. When it comes to electronic industrial music, all too little emerges these days that hasn’t been done before. But what’s indicted the scene more than anything is a lack of innovation and effort even within the standard forms that have come to dominate a field that’s now almost 40 years old. The LA-based duo of Sara Taylor and Ryan George, collectively known as Youth Code, are a notable exception. They’ve just released their second full-length album, Commitment to Complications, to rave reviews. For once the masses are not wrong: the group wins well-deserved kudos for invigorating a genre that’s been in urgent need of it. Their music draws on the rhythmic and danceable side of industrial, yet balances that with an aggressive metal attitude (reviewers call it punk, but industrial is where punk went when it died, so that’s really a given). Combining intense beats and creatively conceptualized electronic rhythms and melodies, the band has achieved what’s been referred to as ‘breakout success’, but it's really just a higher standard of musical excellence in a field that’s been awfully devoid of hard work and creative ideas in recent years. It’s hard to determine what to attribute their popular success to (their frenetic stage presence, most likely), but their musical success derives from two clear advantages. The first is Taylor’s vocals. Distorted, angry growls are nothing new, but female vocalists of the genre tend to demonstrate greater range than their male counterparts. Why that is is hard to say, but when distortion already imposes a limiting factor on the range of vocal expression, every bit of creative variability counts. Too few industrial vocalists realize the voice is as much of a creative tool -- even harsh and distorted -- as any computer or keyboard. So, while male vocalists in the industrial genre tend to hit a tone of distorted growl and stay there, concentrating their vocal anger without exploring the potential range of their own distorted growls (Youth Code’s recent tour partners, Skinny Puppy, are a notable exception to this rule), female vocalists invariably exude greater experimental style (Android Lust, Unter Null, Hanzel Und Gretyl, etc). Taylor achieves this standard par excellence. Words are enunciated, even within the harsh and electro-static-tinged effects, and this means that lyrics actually matter. Taylor’s voice explores the vocal range, rendering electronic effects a tool for expression, rather than a prison of lost potential as they often prove for male industrial vocalists. It’s not just about yelling, but about blending the voice’s tremendous expressive range with the tone inspired by each song, and finding the place where that vocal expression naturally blends with the electronic effects that accentuate it. Check out ‘Lacerate Wildly’ for an excellent example of this. Taylor’s vocals grind out the lyrics, with words shortened or lengthened as required to achieve the song’s overall aesthetic effect: a combination of mood and relatively minimalist instrumentation, building to crescendo where appropriate. ‘Anagnorisis’ is another excellent example of this: no matter how aggressive the beats or how grandiose the instrumental crescendos, the vocals cling with a tenacious determination to express the lyrics, finally grinding out into angry oblivion once the music ends. Second, the group ensures each song fulfils its individual potential by treating each segment of the song as a work of art itself. Too many industrial acts produce songs that are instantly predictable by listening to the first ten seconds: here’s the beat, here’s maybe a synth line providing rhythm. Repeat, ad nauseum. 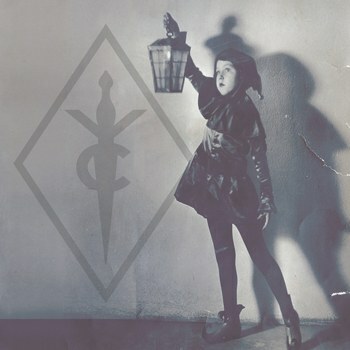 Youth Code, like other top industrial electronic acts, ensure each space of the song operates on multiple levels, with secondary rhythm and synth lines accentuating the principal beats and rhythms with an additional layer of complexity. This is what hooks a listener (or at least, a music lover) and keeps them listening: the ability to follow the course of a song as it drifts creatively through unpredictable yet aesthetically pleasing rhythms and melodies that complement the primary beats. This is the sign of a band that actually works on their music, and produces something that’s intellectually as well as aesthetically pleasing, as opposed to simply programming a beat and yelling on stage in monotone growls. Sampling is also used sparingly and effectively: another trick of the masters. Generally speaking, sampling serves one of two purposes: artistic, in the sense of emphasizing a creative point (US President Obama sampled at the crescendo of a song about drone warfare, for instance) or as a musical tool itself, where the tone and rhythm of the sample blends seamlessly into the song’s opening beats and rhythm; the actual substance of the words are irrelevant. Youth Code tends toward the latter use, with samples serving as an extension of the song’s natural beats. The new album went through the hands of producer Rhys Fulber, of Front Line Assembly, and the guiding wisdom of one of the bands that pioneered the electronic industrial scene can be felt behind a release that propels the genre forward in the creative tradition of Front Line Assembly, but with the technological capacities and angry energies of a new decade. So yes, Youth Code are worth taking a listen to, even for the jaded fan of industrial electronic music. They don’t necessarily offer something new, but in a genre that has become increasingly moribund and repetitious, their music achieves a notable stand-out quality not so much through innovation as through quality: attention to detail, effort to achieve maximum creative versatility within the confines of a danceable aggro electro industrial template, and a standard of musical (including vocal) effort that achieves appreciable success. Youth Code haven’t reinvented industrial electronic music, but they’ve certainly reinvigorated it and upped the standard. With a live show that complements the intense energy of their studio work, and an attention to detail that is second to none in today’s industrial scene, Youth Code are without a doubt a band worth following.